blog | Net.Gal | It's Emilie! I write about art, technology, games, museums, and the spaces where they end up intersecting. This is the full text of an essay I wrote to be featured in the Babycastles X Arcade Review exhibition, which is on now in their NYC gallery! Much like in kittyhorrorshow’s ANATOMY, the essay is presented in the space on a series of tapes visitors have to find and listen to. There’s also three other installations that creatively integrate a game with a critical essay written about it. I think the exhibition is a fabulous way of demonstrating the importance of the interplay between art and criticism, in a time where both run the risk of being increasingly devalued. Enjoy! Hey everyone! This post is a transcript of a talk I gave at The Practices and Politics of Inclusivity in Games, a symposium at the University of Leicester, a gathering specifically to present research on how to make videogames a more broadly inclusive medium and industry. While there are many present practical issues, I naturally turned my mind more towards a theoretical and historical angle. Is the way that we tell (and repeat) the history of games part of the problems we currently face? Of course. Anyways, enjoy! I also included some recent articles I read after writing this talk at the end that are excellent further reading. An interesting thing I’ve had to adjust to since moving to the UK to study games is the history of cassette-based computing and gaming that was almost totally absent from the North American scene of the 80s and 90s. 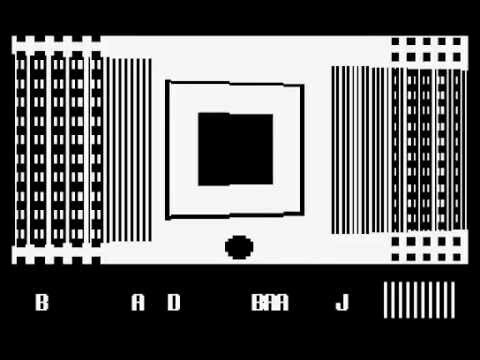 The ZX Spectrum in particular had a huge influence on both commercial and homebrew game creators (and the line between the two was not always so clear!) and cast a shadow of influence I hadn’t even been aware of. Learning about these unfamiliar home computing systems and the colorful cultures and history around them has been exciting, but a few months into my studies I had yet to actually encounter or handle a ZX Spectrum. My first experience pressing one of my fingers into those gummy rubber keys was at the Museum of London. I had heard of their new initiative to collect videogames that were developed in London or somehow featured the city as a prominent location, and knew that an initial selection of these games would be on display at the same time I’d be in the city for Now Play This, so of course, I decided to check it out. I started listening to Zach Hill’s drumming obsessively around the same time I also started watching a lot of speedruns. This may just be a simple coincidence but I think both things are formally and philosophically similar. They’re fast, extremely so when put up against the norm of an average person playing games or how drums function in most popular music, but rather than being marked by efficiency, their second primary attribute after speed is excess. Watching Zach Hill play, it’s nearly impossible to separate flourish from normal play, in fact it seems like his playing is cut down to well timed and connected flourishes once it reaches a certain speed. Zach Hill is a Sacramento-based drummer who’s most recently known for his work with the hip hop group Death Grips. Before then, during his solo work and time in the band Hella, most of which can loosely be classified under the banner of math rock or psychedelia revival, the speed and intensity of his style still stands out. The function of percussion in popular music, outside of the occasional drum solo, is generally to fall back and carry the beat, or structure of the song while other instruments and vocals take the lead. In this way it’s almost like the support onto which a work of art is executed, like the canvas to the painting itself. The past week was probably my busiest yet this academic year. On top of my usual responsibilities as a graduate student, almost every day offered an amazing opportunity to see new work and meet the creators of a broad variety of new media artworks. This year, the North East of North festival had a special focus on bringing Asian creators to the city of Dundee, and for some of the artists it was even the first time their work was exhibited or performed in the UK. This brought an influx of new thought and practice, but also highlighted areas of commonality between local and international art. I got my degree in Art History from a small college of about 3,000 students in Central Pennsylvania. By the time I was done, I had probably only seen an incredibly small fraction of the works I wrote about, maybe one or two on day trips to New York or Washington DC. For many art historians, this is probably the case. Because the majority of objects of art history are paintings and sculptures, a good-enough sort of analysis can be conducted based on photographs and contextualizing historical information. Outside of very close investigations into underpainting, verso inscriptions, and other material quirks, most times a high quality photograph will do if you set out to write an analysis of a visual work, or at least we convince ourselves it does to keep the practice of Art History remotely sustainable and accessible. Then, for my senior year thesis project, I moved on to writing about the Conceptual Art movement of the 1960s and 70s and its prefiguration in movements like Fluxus and Gutai. Oftentimes, finding photographs of the works became a challenge and even fewer were still intact or had been re-enacted in the time since the original exhibitions discussed in Lucy Lippard’s Six Years. Six Years is an incredibly interesting book because it is halfway between formal archive and personal scrapbook, a close-read of one perspective on what it was like to identify and formalize an artistic sensibility and mold it, often with her own two hands, into a program of exhibitions. Lippard frequently remade conceptual art pieces on the spot for her “numbers shows,” and despite her impressive archiving skills evident in the text, these great efforts of combined curating and art making usually ended up evading thorough photographic documentation. Each grainy, black and white, mostly unspecific photo I could find and tentatively identify a few of the artworks in was a blessing. In his investigation into the social functions of childhood toys, Brian Sutton-Smith notes that ‘whatever toys may have originally signified to their makers… this signification is almost destined to be betrayed’ when they are picked up and played with in practice. Citing examples of how children improvise, combining sets of toys marketed to them into a mishmash of uses that may not match the original symbolic meaning of any of the constituent parts, this phenomenon is probably not unfamiliar to anyone who, as a kid, made up rather unconventional settings and adventures for their Barbie dolls, outside the narratives they were sold of glamour and girl-power careerism. In this study, entitled Toys as Culture, Sutton-Smith also discusses video games specifically as both a machine-toy (toys focused on miniaturizing and systematizing the world) and a soft-toy (toys which substitute in-person socialization, comfort, companionship and so on), but his more general notes about how play almost always eventually finds ways to ignore the original symbolic meanings and implied intended use of toys struck me as also applicable. There seems to be a presumption in mainstream game studies that the best game design intuitively guides the player to the intended play style, goals, and outcomes, and that this represents a successful result and a good player experience. However, looking back on my childhood playing games, I played them ‘incorrectly’ a lot of the time, sometimes deliberately and even maliciously so. One of the biggest challenges I faced in writing my Masters dissertation was defining the particular area of production I’d be discussing. Sure, narrowing scope to that just-right point is a challenge for most academics, but in my case teasing out the categorizations and movements to focus on was particularly hairy. When I said I wanted to write about videogames in art museums, my advisor presented me with several interpretations of that seemingly simple phrase that surprised me. I was of course thinking of the exhibitions attempting to bring videogames produced outside of the art world into it, like Game On at the Barbican Centre or The Art of the Video Game at the Smithsonian. However, there are also many other ways to interpret this term. Videogames have been appearing in museums long prior to large exhibitions featuring titles like Pac-Man, Rock Band and Super Mario Galaxy, but these titles are marginalized both in gaming history and the history of art, perhaps because they operate at this borderline. 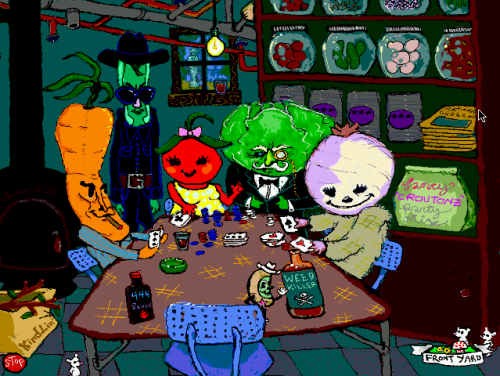 Games made for art galleries or online arts contexts during the 90s and early 00s include Natalie Bookchin’s flash games, and JODI’s abstracted Quake mods (pictured above). This lineage continues to some producers today who categorize their work as art and present in venues like festivals and galleries. Tale of Tales games, for example, includes their “Realtime Art Manifesto” on their site, while also distributing their works over the popular Steam platform. In this month’s GROUP SHOW, I touch on the fact that educational games are perceived as “less pure” than games without an explicit use beyond entertainment, or even not games at all. This comes from a more general suspicion of utility throughout game theory and the construction of a history of videogames. The idea of games as necessarily or primarily “entertainment,” purely systems of engaging and rewarding mechanics, has played a role in deciding what games are included in the talks, books, and exhibitions that are quickly composing a supposedly authoritative history of gaming, but it also excludes a large portion of important work also worthy of study and preservation. As we’ve seen with film before it, in the early decades of a new mediums’ existence, the way that dominant ideologies define what is the paragon examples of a medium has a lot to do with what early work survives, often to the later chagrin of historians. Rhizome’s recent conservation efforts occur at the intersection of several elements of gaming history running the risk of oversight. Theresa Duncan’s games were released as CD-ROM in the mid-90s, when gaming history overwhelmingly focuses on arcade and console programs, with few exceptions of especially notable PC games, usually from later than the mid-90s. These games also fall into the category of “art games,” games often created by single artists who create work in other mediums as well. Theresa Duncan, who also worked in film, animation and writing, is one such creator, and The Intruder by Natalie Bookchin and various Doom mods by JoDi are also examples of this sort of work, which is more often associated with art historical movements like net.art than the history of gaming, where they equally belong. Finally, in addition to being created for a machine primarily associated with workstations rather than gaming, and made outside the typical routes of production and marketing associated with games, Duncan’s games take an explicit approach of being an imaginative, somewhat educations interactive storybook aimed at young girls. Hope you can read my terrible handwriting!